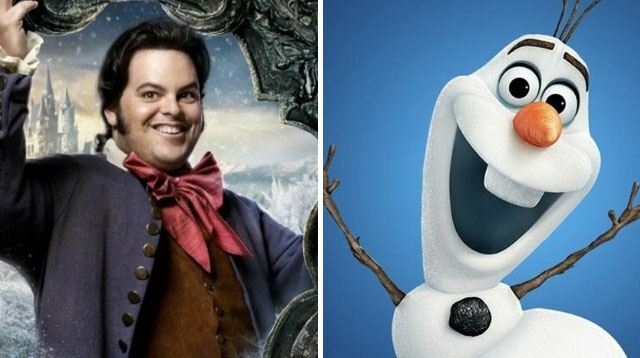 Josh Gad's Easter egg about Olaf would've been AMAZING. Although Beauty and the Beast is quite literally taking over our lives right now, Frozen is still up there with one of our favorite Disney films of all time—which is why it's so gutting to find out about the Olaf reference removed from the latest live-action movie. So there's already a mind-blowing easter egg linking Tarzan to Elsa and Anna's story, but Beauty and the Beast was going to link back to Frozen too—until the director decided to take the reference out all together. Damn. "The Easter egg I fought for [director] Bill Condon to put in but we never did, there's a moment in the original where a bunch of snow falls on LeFou and he becomes a snowman and I thought, this could kill. It's a little meta but it could be great." THAT WOULD HAVE BEEN SO GOOD, especially considering Gad played Olaf in Frozen. AGH. Josh added that the actors never know which scenes are going to be cut from the film until they see the final edit, joking: "We're not even guaranteed that we're going to be in the movie. It's all based on our interview performances."